All versions require Steam and Arxan Anti-Tamper DRM. Delete or rename 2K_logo.bk2 and Gearbox_logo.bk2. Go to <path-to-game>\PoplarGame\Splash\PC in the installation folder. No frame rate cap. Optional cap or smoothing options. Limited support. Display colors for friendly and enemy teams can be changed. Separate for Y- and X-axis. XInput and at least DualShock 4. 4 preset and any two button places can be swapped between each other. 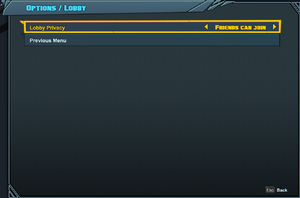 Player number indicator, static blue for player one, red for player two, etc. 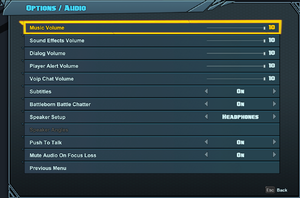 Music, effects, dialogue, alert and voip. 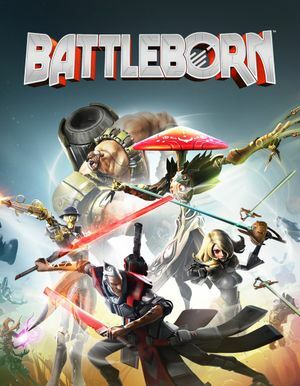 See Helix Mod: Battleborn (DX11). ↑ 1.0 1.1 File/folder structure within this directory reflects the path(s) listed for Windows and/or Steam game data (use Wine regedit to access Windows registry paths). Games with Steam Cloud support may store data in ~/.steam/steam/userdata/<user-id>/394230/ in addition to or instead of this directory. The app ID (394230) may differ in some cases. Treat backslashes as forward slashes. See the glossary page for details. This page was last edited on 8 April 2019, at 10:53.